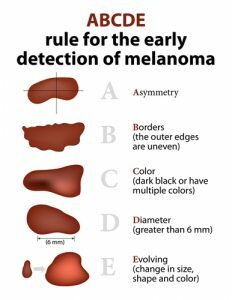 Early detection of skin cancer saves lives. Dermatologists are specialist medical doctors who are experts in the diagnosis and treatment of skin cancer and skin disease. Dermatologists are specialists in skin cancer detection and treatment. During a Full skin examination you will be asked to undress to your underwear. Dermatologists use lighting and magnification to examine your skin. Ask your parents and siblings if they have had any skin cancers treated, this history is important. List your own personal history. Your Dermatologist will ask you if there are any lesions you are concerned about . List the lesions you have noted. Please do not wear heavy make up to your skin check appointment. The Dermatologist will need to remove this to accurately assess your skin. If Makeup is important , schedule an appointment at the end of a day. To perform a full skin examination you will be asked to undress down to your underwear. A limited examination may be provided on request. This depends on a number of risk factors. See the article below from the Australian Family Physician which outlines the risk factors and suggested frequency of skin checks. 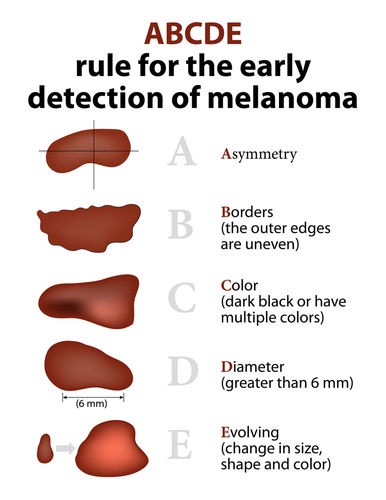 Your Dermatologist is a specialist in early skin cancer detection. See your doctor for a referral to a Dermatologist today. Any lesion that stands out from the others ie the “ugly duckling “ . Please watch the attached short video on conducting your own self assessment.